“Thomas?” The nurse stood in the doorway of the doctor’s waiting room and indicated that my turn had finally come. I put down the issue of National Geographic I’d been browsing — one of the first that was published in color, I believe — and attempted to follow the nurse. That proved to be difficult; since I had been sitting in the same position for such a long time, my foot was asleep. There were no magazines in the examining room; for a while I bided my time by feeling my whiskers grow. At one point I found myself hoping that the doctor would want a urine specimen, because I was sure I could comply. To take my mind off that discomfort, I looked at the decorations in the room, which consisted of extruded plastic illustrations of the human anatomy, rendered in great detail. That’s when I made the discovery that I — we — have a body part that until that moment, I didn’t know existed. It’s called the Circle of Willis. Be honest — you didn’t know you had one, right? We’re accustomed to organs and appendages with names that are Latin or Greek. You’ve got your scapula, your larynx, your pancreas and so on. But the Circle of Willis — what the heck is that? The first thing I thought of was an old television show called Diff’rent Strokes, which was memorable because at least once per episode, child actor Gary Coleman would utter his signature line, “What you talkin’ ’bout, Willis?” For a moment I imagined the Circle of Willis being that character’s council of advisors and confidants. Nope. It turns out that the Circle of Willis is part of the brain, and a very important part at that. 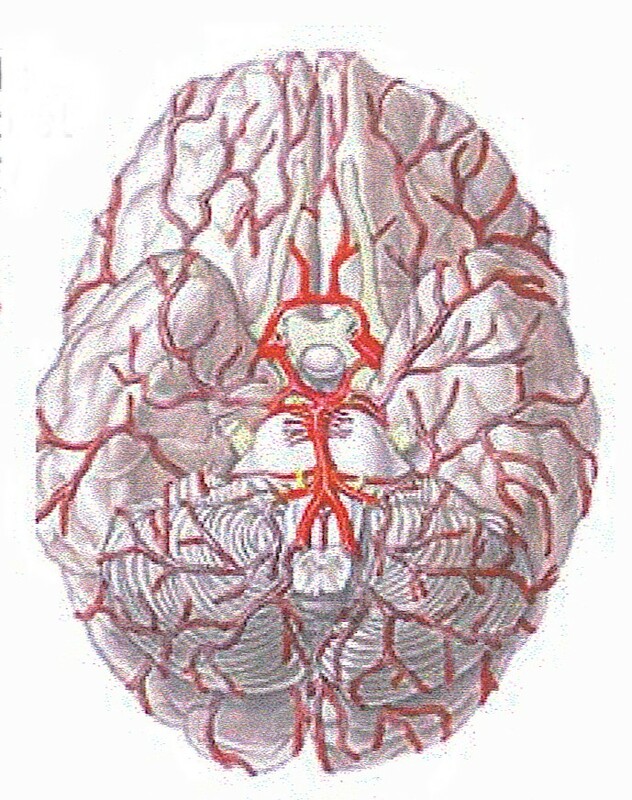 It’s a circular connection of arteries on the bottom side of the brain; all the main arteries that supply blood to the hemispheres of our brain branch off from the Circle of Willis. Because of that design, if one of the main arteries becomes occluded (blocked), other smaller arteries in the loop can sometimes come to the rescue, possibly averting a stroke. In other words, there is some redundancy built into the Circle of Willis to maintain maximum brain efficiency. That’s what Willis is talkin’ ’bout. So who was Willis? Thomas Willis was a 17th century English physician who did a lot of research on the brain and nervous system. Some of his dissections were performed on the victims of public executions, and in one instance, a recently hanged woman named Anne Green began to stir and came back to life, just as Willis was beginning his dissection. Surprise! After the miraculous recovery of Anne Green in 1651, his services were in great demand. There is no record of how long Thomas Willis kept his patients waiting. This entry was posted in Science and tagged Circle of Willis. Bookmark the permalink. Fascinating! You could also probably do another post on Anne Green and what she did to get a noose around her neck. Spooky! It was a lurid case: Anne Green was a 22-year-old housemaid who was officially charged with murder for killing her newborn baby. It was widely believed at the time that she had been impregnated by the grandson of her employer, a noble whose name escapes me. The baby was born prematurely and may have died of complications from childbirth, but Anne was not given the benefit of what we would consider justice. She was hanged at Oxford’s Cattle Yard. Thanks in part to the ministrations of Thomas Willis, she recovered completely within about a month. The “miracle” resulted in a reprieve from the sentence being carried out again. Anne moved to the countryside, married and bore three more children. She lived for 15 years after her hanging. History gives us some great stories, doesn’t it? It sure does! Thanks for the follow up!